Comfort and Accessibility! Pot-O-Gold’s Handicap Porta Potty rental option provides excellent accessibility and grab rails for those with special needs. 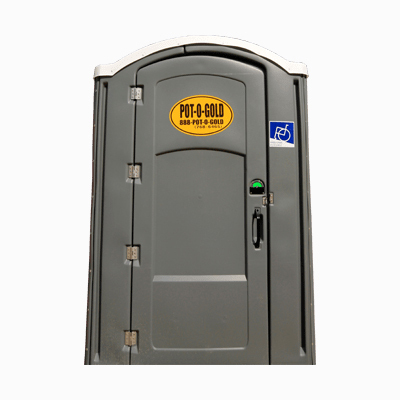 Our Handicap Accessible Porta Potty rental option provides ample room forServices provided by Pot-O-Gold are performed by professional technicians using the best equipment our industry has to offer. Our porta potties undergo our amazing 7-Point Service Plan to ensure your porta potty rental arrives in pristine, like-new condition and is kept that way throughout the duration of your project. We recommend (1) porta potty per (10) people.